Great results on a lawn is the correct product at the right time. Come on in today and let Wharton's get you on the right path to a beautiful lawn. For All Seasons II prevents crabgrass and sandburs. The two hardest weeds to kill once they are up and growing. Weed-Out will take out the dandelions from last fall when it's warm enough to actually kill them. The bugs come out in May!! Put down the bug killer then. June Lawn Food gets it ready for summer wear and tear and takes the stress off until September when it NEEDS a good feeding after the summer beating it took. October will build winter strength and a healthy plant. If you need to renovate or re-invigorate your lawn, come see our staff that has 30 years or more each on advise with lawns and gardens. 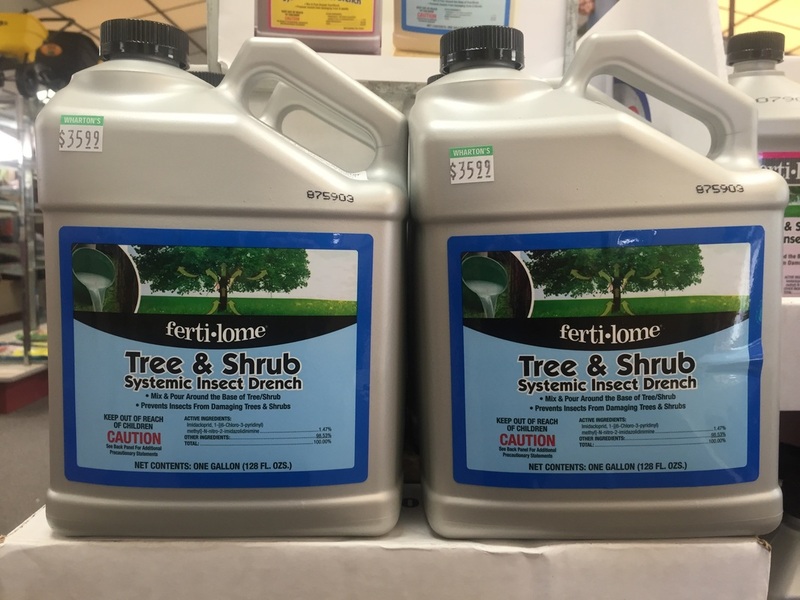 Time to treat your trees with Fertilome Tree & Shrub Drench. Protection from borers and leaf eaters can begin today. Easy to use, pour on base of tree and water in. Special prices on cases of 4 gallons. 5 Case special!! Really works and makes your trees so much healthier. 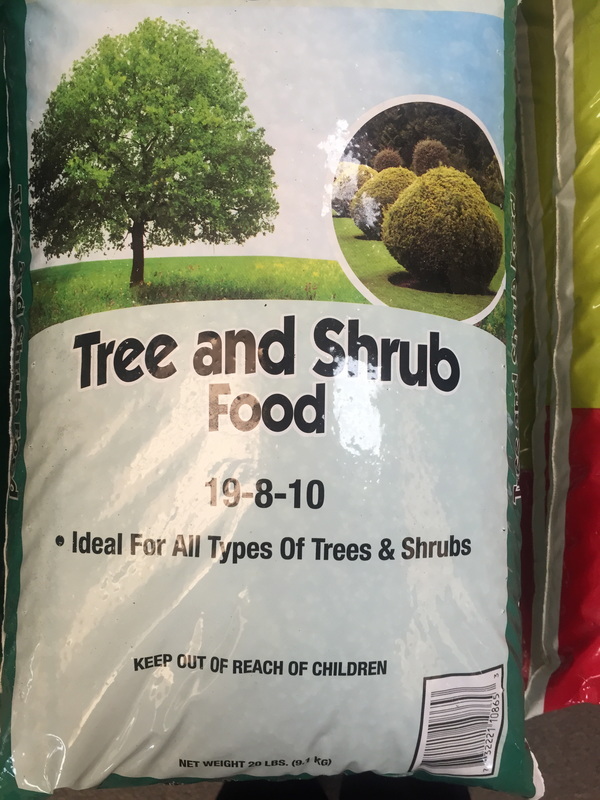 TREE AND SHRUB FOOD: Give your landscape a boost for the spring season and summer hardiness with Fertilome Tree and Shrub Food. You'll be happy you did.